irstly I would like to welcome Marion Scrymgour as the new Chief Executive Officer (CEO) of the Northern Land Council, the first woman to hold such a position across all NT land councils. Marion’s appointment followed a rigorous recruitment process and we are thrilled to welcome on board someone who brings such relevant skills. Marion is no stranger to firsts as she was the first Aboriginal woman to be elected to the Legislative Assembly, representing Arafura from 2001 to 2012. It is also great to see Professor Mick Dodson announced as the Northern Territory’s first Treaty Commissioner. Mick has strong connections with the Territory and the NLC and I cannot think of a person more suited to lead the process for a Treaty between the Northern Territory Government and the Territory’s Aboriginal people. Some important milestones have been made in land rights in the last few months. The Aboriginal Land Commissioner’s Report on the review of detriment into Aboriginal Land Claims was tabled in Parliament in February. The report provides advice on 16 longstanding Aboriginal land claims, from as early as 1981, that have been recommended for grant but not yet granted. It was a welcome report for the land council, expressing faith in the NLC’s new permit system which will satisfy recreational fishers wanting to access waters on Aboriginal land. We are pleased the new system is on track to be in place in the third quarter of 2019, as it will modernise the permit application process and be an improvement for both Traditional Owners and visitors. MARION SCRYMGOUR BECOMES FIRST FEMALE CEO OF ANY NT LAND COUNCIL Tiwi woman Marion Scrymgour has been announced as the new CEO of the Northern Land Council, the first woman to hold the CEO position at any Northern Territory land council. Ms Scrymgour is the former CEO of the Tiwi Islands Regional Council and a former member of the Northern Territory Legislative Assembly. In 2000, she became the first Aboriginal woman to be elected to the Legislative Assembly, representing the electorate of Arafura from 2001 to 2012. Prior to her entrance into politics, she was the CEO of the Wurli-Wurlinjang Aboriginal Health Service and the first CEO of Katherine West Aboriginal Health Board. She coordinated community care trials and health service provision throughout the Katherine West region. “I am realistic that there are big challenges ahead but I look forward to working with the Executive and the Full Council and getting around the regions to meet council members, staff and constituents,” said Ms Scrymgour. “Knowing that I follow in the footsteps of some giant men who have been in this position, I know I’ve got big shoes to fill, but I think I’m more than up to the challenge,” she said. “Hopefully we can go forward now and give some stability; it’s in the interest of Aboriginal Territorians that we do that.” Chairman of the NLC Samuel Bush-Blanasi said: “We welcome Marion’s return to the land council after too many years away and look forward to working closely with her during the years ahead.” Ms Scrymgour previously worked at the NLC from 1985-1989. CLC chair Francis Kelly said the appointment of a woman to the Northern Land Council’s top administrative position was a historic achievement and a win for equality. Federal Indigenous Affairs Minister Nigel Scullion congratulated Ms Scrymgour on her “significant” appointment. He said he had the “greatest confidence in her capacity to serve”. “The NLC is one of the most important organisations in the Territory and has a critical role representing Aboriginal people in the Top End and delivering better outcomes for Indigenous communities,” Minister Scullion said. Mick Dodson appointed Treaty Commissioner “I’d like to give as many people as possible the opportunity to talk to me and my crew about the Terms of Reference and their reactions to the discussion paper,” he said. “We’re hoping to develop a plan language version of the discussion paper and also get that translated into major Aboriginal languages that are spoken across the Territory, with the help of the Aboriginal Interpreter Service whose giving us that sort of support in kind.” “I’ll do as much as is within our power and resources to [find out] what the community desire. My view is that big town hall meetings won’t do the job because in those circumstances, too many voices go unheard. What’s essential is people come with a good heart and no locked in positions that will stifle the process form the start,” he said. Professor Mick Dodson has been announced as the Northern Territory’s first Treaty Commissioner, tasked with leading the process for a Treaty between the Northern Territory Government and the Territory’s Aboriginal people. part-time female Aboriginal Deputy Commissioner will also be appointed to assist the Commissioner. Professor Dodson commenced on Monday 4 March 2019 and under the Commissioner’s Terms of Reference will deliver an interim report and public Discussion Paper within 12 months. “He has proved himself to be an outstanding citizen, assisting our country to progress in many ways, particularly in bringing Indigenous and non-Indigenous people together. That discussion paper will become the focus of the community consultations, with a final report handed down 18 months later. Professor Dodson will travel across the Territory to hear the views of Aboriginal people during that period. “This is an important opportunity to reset the relationship between the Territory’s First Nations and the Government,” said Mr Ah Kit. The Treaty Commissioner will determine: •	What a Northern Territory Treaty will seek to achieve •	Whether there should be one or multiple treaties •	The best model for a Treaty in the Northern Territory •	What outcomes are possible under a Treaty for Aboriginal people •	What the best process is for negotiating a Treaty •	The potential contents of any Treaty in the Northern Territory. The Aboriginal Land Commissioner’s Report on the review of detriment into Aboriginal Land Claims recommended for grant but not yet finalised was tabled in Parliament on Thursday, 21 February 2019. The report provides advice on 16 longstanding Aboriginal land claims, from as early as 1981, in the Northern Territory that have been recommended for grant but not yet granted. They date from 14 to 38 years ago (1981 to 2004). Ordinarily the Commissioner would not have a function to perform in respect of claims already recommended for grant. However in July 2017 the Minister for Aboriginal Affairs, Senator the Hon Nigel Scullion, requested the advice of the Commissioner under s 50(1)(d) of the Aboriginal Land Rights (Northern Territory) Act 1976 (ALRA) in relation to the status of detriment issues associated with these claims. Settlement negotiations will be significantly by the detriment review. on behalf of traditional owners, which would be significant except in a general way and which allow activities to continue after the grants of the should not impede the significant majority of fishers.” claimed areas. For recreational fishers, activities could continue thanks to a permit system administered by the NLC. In the report, the Commissioner says the NLC’s proposed system is a satisfactory one, both in its ambit and in its procedures. In relation to pastoralists, the NLC has proposed a licence to allow pastoralists to carry out their activities in the use of the claimed areas. Senior Wagiman Traditional Owner George Jabul Huddleston at the ceremony. Wagiman and Jawoyn native title holders with Justice White. Wagiman woman Daphne Huddleston cuts the cake after the ceremony. Senior Wurrkbarbar woman Bessie Coleman (left) with friend. finally got there. I learnt a lot from the senior women and men. They started it off. We finished it off.” For the claimants and their families, the resolution of their native title claim over Pine Creek is an important milestone for three reasons. Firstly, it recognises the traditional ownership of the Town of Pine Creek by the Wagiman people and the Jawoyn Matjba, Bolmo and Wurrkbarbar groups through their shared connection to the land. Secondly, the determination recognises the native title claimants always had, and still have, a special relationship with, and traditional rights in, the land and waters of the claim area. Thirdly, it provides the native title claimants with an opportunity to have input into any future uses of their country. It is also significant for the children and grandchildren of those persons who will carry this legacy into the future. Mick Markham, Jawoyn elder, said the decision would bring certainty for the future of the town. “Thank you to our elders who fought this for 20 years. They started this. And it’s a special day of remembrance for them. This determination will free up a lot of the blocks here. People from the communities can move in and buy a block, and live in this town,” he said. For the native title claimants, the determination marked the end of a long journey started by some of those who were present and many more who have since passed. A minute of silence was held to recognise those who have passed away since this process began. “I would like to pay respects to the old ones who have passed and are not here to celebrate this achievement, to getting the land back after 20 years,” said Wagiman woman Elizabeth Sullivan. 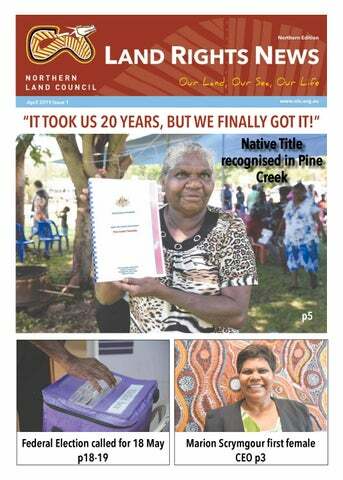 “I celebrate this success and significant milestone in Wagiman history in knowing that Pine Creek and its surrounds have been returned to the Wagiman people.” Ms Sullivan also paid tribute to NLC staff for their hard work in reaching this day. “I would like to thank the Honourable Justice White for the return of our traditional lands under Native Title, and the NLC Legal representatives for their perseverance and commitment for pursuing this Native Title Claim on our behalf. Exclusive possession native title is the highest recognition capable under Australian property law, giving Wagiman and Jawoyn Bolmo, Matjba and Wurrkbarbar native title holders the same rights as private land owners. Existing roads and private land will not be affected by the determination. As well as exclusive native title, the determination also recognises a right to “access and take resources for any purpose” – i.e. including commercial purposes and not limited to personal or domestic purposes. This right was first recognised in the Northern Territory in the town of Borroloola in August 2016. The native title determination in Pine Creek marks the second time the Northern Territory has agreed to recognise this right by consent, following the town of Larrimah determination in October 2018. Northern Territory Of the five jurisdictions with acceptable quality of Indigenous mortality data, the Northern Territory continued to have the highest Indigenous child mortality rate (305 per 100,000) over the period 2013–2017. In the Northern Territory the number of Indigenous children enrolled declined by 2 per cent, and the proportion of Indigenous children enrolled also declined by around 2 percentage points between 2016 and 2017.
matters. The partnership between COAG and the Coalition of Peaks will involve the creation of a Ministerial Council, and will allow for a jointly-agreed refreshed framework and targets. Before finalisation, targets will need to be agreed by both members of the partnership. This heralds a nationally significant commitment and new approach to reviewing the National Indigenous Reform Agreement on Closing the Gap. The National Partnership Agreement establishes the Joint Council which is made up of Premiers/First Ministers of State/Territory in COAG including the Australian Local Government Association and 12 representatives from the Coalition of Peaks (1 from each State and Territory Peaks – and 4 specialists from Health, Law and Justice, Education and Families and Economic Development). Ms Pat Turner from the Coalition and Mr Ian Anderson (Cth) are the Co-Chairs of the Joint Council. On 25 March 2019, the Prime Minister of Australia, the Hon Scott Morrison MP, signed the National Partnership Agreement and wrote to the Coalition of Peaks and State and Territory Governments. The Australian Capital Territory was next to sign which gave affect to the National Partnership Agreement; and on behalf of the Coalition of Peaks, Ms Pat Turner AO, the South Australian and Northern Territory Governments along with the Australian Local Government Association have also signed the Agreement. The other States have agreed to sign and are going through Cabinet approval processes - with Victoria waiting to see the outcome of the Commonwealth Election. The Aboriginal Peak Organisation NT representative on the Joint Council is John Paterson. A Partnership Working Group reports to the Joint Council and was established to drive implementation of the National Partnership Agreement on Closing the Gap, the decisions of the Joint Council including resolution of issues referred to it by the Joint Council. The Partnership Working Group is made up of Commonwealth, State and Territory Government and Coalition of Peak representatives who met for the first time face to face on 11 April 2019 in Adelaide. Trish Rigby is the Northern Territory representative on the Partnership Working Group. The Commonwealth Election announcement will not affect the work done so far and all parties to the National Partnership Agreement are committed to finalising the Partnership Working Group Terms of Reference, forward work plan and it’s approach to review and refresh the 2008 National Indigenous Reform Agreement and forward work plan. OUR PEOPLE WILL LEAD THE WAY On Thursday 14 February 2019, the Prime Minister tabled the 11th Closing the Gap report. Pat Turner AM*, CEO of the National Aboriginal Community Controlled Health Organisation, wrote the following opinion piece for NITV on 15 February 2019. Our people have watched and waited long enough while successive Governments failed to deliver on the promise of equal standards of health, education and employment. Now a coalition of community controlled, peak bodies are determined to drive change on Closing the Gap. On the floor of Parliament yesterday, Prime Minister Scott Morrison spoke of a change happening in our country. There is a shared understanding that we have a shared future as Indigenous and non-Indigenous Australians, together. But our present is not shared. Our present reality and indeed our past, is marred in difference and disparity. This striking disparity in quality of life outcomes is what began the historic journey of the Closing the Gap initiatives a decade ago. But after ten years of good intentions, the outcomes have been disappointing. The gaps have not been closing and so-called targets have not been met. The quality of life among our communities is simply not equal to that of our non-Indigenous Australian counterparts. Members of the coalition of peak bodies at Parliament House: Donnella Mills (Acting NACCHO Chair), Antoinette Braybrook (National Convenor of National FMPLS), Patricia Turner (CEO NACCHO), John Paterson (CEO APO NT), Muriel Bamblett (CEO VACCA) , Cheryl Axleby (CEO NATSILS). We now need to ensure that the agreement blossoms into genuine action. We simply cannot let this opportunity to make a real difference to the lives of our people slip by. Government cannot be allowed to drag the chain on this until it becomes Although I outline troubling realities, I am ever another broken promise. hopeful that change is near. I was heartened by the statement made by the Prime Minister We are doing the heavy lifting and have yesterday. For the first time, I heard a genuine drafted a formal partnership agreement for the acknowledgement of why the Closing the Gap Commonwealth, state and territory governments outcomes seem steeped in failure. I heard an to consider. We are determined to do all that we acknowledgement that until Aboriginal and Torres can to fulfil COAG’s undertaking to agree on Strait Islander people are brought to the table as formal partnership arrangements by the end of equal partners, the gap will not be closed and February. progress will not be made. This is a view that our The agreement sets out how we all work together community has expressed for many years - a view and have shared and equal decision making on closing the gap. We are confident that a genuine I am encouraged has finally been heard. Historically, Aboriginal and Torres Strait partnership will help to accelerate positive Islander community leaders have not been equal outcomes to close the gaps. decision-makers in steering attempts to close the unacceptable gaps between Aboriginal and Torres Strait Islander Australians and the broader community. We want to ensure our views are considered equal and that we make decisions jointly. We cannot continue to approach Closing the Gap in the same old ways. The top-down approach has reaped disappointing results as evidenced by the lack of progress of previous strategies to reach their targets. We must not lose sight of the most crucial point of Closing the Gap, which is to improve the everyday lives of our people. We must ensure our people are no longer burdened with higher rates of child mortality, poorer literacy, numeracy and employment outcomes, along with substantially lower life expectancies. Our struggle as community-controlled organisations to sit at the table and have a voice – let alone for governments to actually listen to A coalition of Aboriginal and Torres Strait Islander us – has long been at the crux of the disappointing peak bodies from across the nation has formed to be signatories to the partnership arrangements. We progress. Last year, an accord on the first stage of the Closing are now almost 40* service delivery, policy and the Gap Refresh languished because discussions advocacy organisations, with community-control were not undertaken with genuine input from at our heart. This is the first time our peak bodies community members. We turned an important have come together in this way. flawed and that generational trauma cannot be ignored. And yes, change must come from within our communities but change must also come from the whole of Australia. We must change together. The time has come for our voices to be heard and for us to lead the way on Closing the Gap. We are corner in December when an historic agreement Our coalition brings a critical mass of independent ready for action. was reached to include a coalition of peak bodies Indigenous organisations with deep connections to as equal partners in refreshing the Closing the Gap communities that will enhance the Closing the Gap * Pat Turner AM is the CEO of the National Aboriginal Community Controlled Health Organisation. efforts. We are a serious partner for government. strategy. TOP END WEDDING OPENS IN DARWIN Top End Wedding had its NT premiere in Palmerston on Thursday 11 April. Stars of Top End Wedding: Lynette Johnson, Miranda Tapsell and Bernard Tipiloura. Guests at the Palmerston Premiere of Top End Wedding. The Commonwealth has agreed to release the Territorians, particularly Aboriginal Territorians. money through a National Partnership Agreement Aboriginal people will be at the core of work signed on 30 March. building the homes and reducing overcrowding We are getting on with our remote housing through the NT Government’s Local Decision program because urgently fixing remote housing Making policy where a growing number of is crucial to protecting our most vulnerable Aboriginal communities are being empowered to communities and securing a safe and happy future control delivery of key services to their people. for all Territorians. The Territory’s four Aboriginal Land Councils The failure to ensure Aboriginal Territorians in remote communities have a place to safely raise a family has been critical to social welfare, mental wellbeing and health outcomes. A remote housing crisis over previous decades has caused social dysfunction, poorer health and education and deteriorating law and order with serious long term repercussions across the whole of the Territory. will also participate in decisions of broad policy and strategy for remote housing and will have a monitoring role in the program. Already around 50 percent of the workers building and upgrading houses in our remote communities are Aboriginal. We expect this to increase as our program ramps up in the coming years. And more kids will get a proper education because Populations in these communities are increasing they will be coming from homes where they can and the gap in housing needs will only get worse get a good night’s sleep and arrive at school fed over time unless drastic action is taken. and healthy. In two-and-a-half years the NT Government has *Michael Gunner is Chief Minister of the Northern Territory made remarkable progress building or upgrading 1,350 houses with many more planned or underway. Stay up to date with NLC! Compensation awarded in Australian first loss of ‘spiritual connection’ goes far beyond the concept of ‘loss of enjoyment of life’ from personal injury law, because, as the High Court recognised, Aboriginal spiritual connection is ‘a defining element in a view of life and living’. The court recognised that the loss of native title rights is different from any European concept of a loss of land, as it arises ‘under traditional laws and customs which owe their origins and nature to a different belief system’. The decision confirms that ‘the people, the ancestral sprits, the land and everything on it are organic parts of one indissoluble whole’. The Court adopted Mansfield J’s description of the claim group’s spiritual connection to country as ‘A single large painting – a single and coherent pattern of belief in relation to a far wider area of land’. The Ngarliwurru and Nungali peoples still possess native title or land rights over most of their country beyond the town, and, along with other peoples throughout the region, keep their culture strong. However, the High Court recognised that the extinguishment over blocks of land in Timber Creek has ‘punched holes’ in that painting, damaging the integrity of the cultural landscape. Timber Creek mob at the High Court on 5 September 2019. Timber Creek by Mr A Griffiths, which was used as evidence in the case. Published courtesy of the Estate of Mr A Griffiths and Waringarri Aboriginal Arts. Thanks to masterful explanations of country and culture by many senior knowledge holders, particularly Mr A. Griffiths and Mr J. Jones who sadly passed on before this final outcome, the Griffiths decision recognises the interconnectedness of everything on country, rejecting a technical block-by-block interpretation. Recognising the strength of the Ngarliwurru and Nungali peoples’ culture reflects the strength of Indigenous cultures across Australia. The court also confirmed that the loss of native title is ‘permanent and intergenerational’, and that the loss of native title ‘had ongoing present day repercussions’. Lorraine Jones, who has been an Applicant on the claim since it began, paid respects to her father and the other old people whose senior knowledge and leadership drove these claims throughout the last twenty years. “I really deeply wish that they were still around to see this outcome,” Lorraine told the ABC. “I wish they were here with us today to celebrate, the good news or the bad news.” Chris Griffiths, whose father gave his name to the case, said that although the reduction in the economic valuation is disappointing, recognition of their spiritual connection was “what our old people wanted”. “Our culture is still alive, our law is still in the land, our blood is still running in the country, our tears will fall on the land.” It is possible that other native title holders can achieve higher compensation amounts where they have exclusive native title, or where the area of extinguishment is a larger portion of their country and cultural landscape, or perhaps where the economic value or use of the land is greater than that in the small town of Timber Creek. This area of law has a long way to develop, and will adapt to the range of unique cultures and circumstances around Australia. For reasons of time, cost and fair process, focus is already turning to compensation negotiations, and to establishing a system that can support native title holders to access compensation without spending twenty years in the courts. In the new era of treaty talk, Griffiths also contributes to national considerations of non-discrimination, dispossession, and sovereignty. Traditional owners who cannot access post1975 native title compensation will certainly lead discussions on redress outside of the present native title system. To inform these developments, all around Australia, governments, native title holders and other land users such as mining companies are studying the Griffiths decision. What they will find is binding legal recognition of the real economic value of native title, as well as the unique cultural value of country. The NLC congratulates all native title holders of Timber Creek, past, present and future for their achievement in paving a way forward for others to follow. They can be proud that, together, they have won compensation on just terms for the current and future generations. *Cath McLeish is a Senior Legal Advisor with the NLC (Victoria River District) and has assisted in this case since 2017. Implementation of reforms to improve regulation of the onshore petroleum industry in the NT On 17 April 2018, the NT Government accepted all 135 recommendations of the Final Report from the Scientific Inquiry into Hydraulic Fracturing (fracking) in the Northern Territory (the Inquiry) and lifted the moratorium on hydraulic fracturing in the NT. The Inquiry determined that, provided all recommendations in the Final Report are adopted and implemented in full, the environmental, social, health, cultural and economic risks associated with the fracking of onshore shale reservoirs could be reduced to an acceptable level. The NLC provided a number of submissions to the Inquiry (these and other submissions are publicly available via the Inquiry’s website: www.frackinginquiry.nt.gov.au/submissionlibrary). Through its submissions the NLC highlighted the need for significant reform related to the regulation, accountability and oversight of the onshore petroleum sector in the NT. The NLC further advocated for the need to ensure Aboriginal people are appropriately consulted with and afforded every opportunity to effectively participate in implementation of the proposed reforms and in the planning and economic development of the onshore petroleum industry. The NT Government is currently in the process of implementing the reforms recommended by the Inquiry. NLC welcomes the NT Government’s commitment to reform regulation of the onshore petroleum sector. The NLC is actively engaging in the reform program through commenting on proposed amendments to relevant legislation, direct engagement with government, industry and by participating in the Community & Business Reference Group, the Northern Territory Regional Research Advisory Committee and various workshops and other forums. Implementation of the government’s reform program is still in its early stages and much more work is required to ensure all of the Inquiry’s recommendations are implemented in full. Onshore Shale Gas Community and Business Reference Group The NLC is a member of the Onshore Shale Gas Community and Business Reference Group (Reference Group), which provides direct feedback and advice to the Hydraulic Fracturing Inquiry Implementation Taskforce that sits within the Department of the Chief Minister. The purpose of the Reference Group is to provide: •	Advice to the Northern Territory Government on the implementation plan and its subsequent execution to ensure that the plan aligns with community and industry expectations; •	A forum to share information and provide opportunities for cooperation, and collaboration with key stakeholders and the community; and •	A medium through which key stakeholders can communicate their views about the implementation framework and its subsequent execution directly to the Government. The NTRRAC is currently overseeing two projects related to the Strategic Regional Environmental Baseline Assessment (SREBA) component of the fracking reforms. These projects are: •	Baseline measurement and monitoring of methane emissions in the Beetaloo sub-basin; and •	Baseline assessment of groundwater characteristics in the Beetaloo sub-basin. 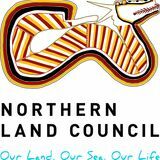 The NLC has persuaded the NTRRAC to adopt the practice of engaging local Aboriginal people with knowledge of country to participate in the program in their capacity as Cultural Monitors to ensure that sacred sites are protected and researches don’t inadvertently enter into these sites or other culturally sensitive areas when conducting research fieldwork. People working as cultural monitors are paid for their time via the NLC. This program is considered mutually beneficial as it facilitates the direct engagement and participation of Aboriginal people in the reform program and provides a strong safeguard to protect sacred sites and other culturally sensitive areas. Having Cultural Monitors accompany researchers on country is also a way for these projects to acknowledge the importance of traditional Aboriginal knowledge and to show respect to the traditional owners and custodians of sacred sites located over the research areas and to gain a better understanding of the landscape from the perspective of Aboriginal people. Undertaking fieldwork in a participatory manner also enables Aboriginal people to gain knowledge about the scientific investigations being undertaken and why it is important to understand the current ‘baseline’ conditions of the environment in these areas prior to possible petroleum production activities being authorised to proceed. site. Petroleum companies will be required to comply with section 41(6) of the Aboriginal Land Rights (Northern Territory) Act 1976 when supplying information to Native Title Holders for the purposes of negotiating an onshore petroleum exploration agreement. Petroleum companies will be expected to use interpreters to ensure information is available in a familiar form. The government has committed to working together with Land Councils to develop information programs and to undertake a Strategic Regional Social Impact Assessment (SIA) prior to any production approvals. Aboriginal communities and traditional Aboriginal owners will be involved in the design and development of cultural assessment and implementation planning – this includes consultation in relation to both the Native Title Act 1993 and the Aboriginal Land Rights (Northern Territory) Act 1976 as detailed in the Inquiry’s Final Report. Petroleum Legislation Amendment Bill 2018 On 29 November 2018, the Northern Territory Government introduced the Petroleum Legislation Amendment Bill 2018 to Parliament as part of its plan to implement all 135 recommendations of the Independent Scientific Inquiry into Hydraulic Fracturing. The Northern Land Council (NLC) and Central Land Council (CLC) provided a joint submission to the Economic Policy Scrutiny Committee in response to the Petroleum Legislation Amendment Bill 2018. The Bill introduces proposed amendments to the Petroleum Act and Petroleum Regulation, which we have identified will partially implement Recommendations 14.12 and 14.23 of the Final Report. The amendments also pave the way for the implementation of Recommendation 14.18 of the Final Report. Strategic Regional Environmental Baseline Assessments The Inquiry recommended that prior to any further onshore petroleum production approvals being granted, gaps in scientific knowledge about the current state of the environment (including the natural, social, cultural and economic aspects of environment) be addressed through Strategic Regional Environmental Baseline Assessments (SREBAs). The work being implemented under the auspices of NTRRAC will form part of the SREBA. it is considered to be the most prospective area for onshore petroleum development in the NT. A framework is under development to guide the implementation of studies related to SREBAs. The NLC is assisting Government to develop the policy framework and guidance material for the social, cultural and economic aspects of the SREBA, including with regard to how impact assessments are conducted. As work related to the development of the SREBA and processes around impact assessments continues to progress, further information about this will be communicated via the NT Government’s hydraulic fracturing website (www.hydraulicfracturing.nt.gov.au) and featured in future editions of the Land Rights News. history of compliance with the Petroleum Act and any other relevant legislation both domestically and overseas. That failure to disclose a matter upon request relevant to the determination of whether an applicant is a fit and proper person will result in civil and/or criminal sanctions under the Petroleum Act. That the Minister’s reasons for determining whether or not the applicant is a fit and proper person be published online. Recommendation 14.18 That prior to the grant of any further exploration approvals, the Government develops and implements enforceable codes of practice with minimum prescriptive standards and requirements in relation to all exploration and production activities, including but not limited to, land clearing, seismic surveys, well construction, drilling, hydraulic fracturing and decommissioning and abandonment. Recommendation 14.23 That prior to the grant of any further exploration approvals, the Petroleum Act and Petroleum Environment Regulations be amended to allow open standing to challenge administrative decisions made under these enactments. Sea Country near Maningrida, West Arnhem Land. intertidal zone. The Blue Mud Bay decision recognised Traditional Aboriginal Owner groups have exclusive access rights to 84%, or 6,050 km, of the Northern Territory coastline. This is first time Traditional Owners have begun to articulate their interests in sea country using a ground-up approach. The issues raised in the Plans are helping inform current negotiations with the Northern Territory Government and key parties around permanent settlement of the Blue Mud Bay decision. The Plans will help ensure Traditional Owners not only have a strong voice in strategic decision-making regarding NT coastal and fisheries issues, but they also set the agenda and maintain a position which ensures aspirations can be met. valuable role in helping Traditional Owners look after country through work such as site protection, coastal surveillance, ecological Marranbala Committee research and monitoring and bio-security. The first priority of the Marra Sea Country Many of the Indigenous ranger groups are Access and Use Plan is to establish and develop working in IPAs. the capacity of a Marranbala Land and Sea The Plan outlines aspirations to establish Management Committee. The Committee a Marranbala Ranger Group, and locate it will oversee the Plan’s implementation and on Marra Country, to help manage country, help advise on economic opportunities. including implementing the relevant strategies of their Plan. Indigenous Protected Areas (IPAs) are places dedicated voluntarily by Traditional Owners for the conservation of cultural and biodiversity resources. They’re recognised by the Australian Government as an important part of the National Reserve System, protecting Australia’s biodiversity for the benefit of all Australians. There are numerous IPAs across the coastal and marine areas of the Northern Territory. The Marra Sea Country plan outlines Traditional Owner aspirations for a multitenure IPA to be established over the land trust, Limmen National Park, Limmen Bight Marine Park and Limmen Marine Reserve. If this happens, Traditional Owners will develop a comprehensive management plan covering all the areas. Wind Fisheries Management Committee, a grassroots advocacy group. Traditional Owners are seeking a restructure of fisheries to accommodate local and regional fisheries management, including resting the area from non-local commercial fishing operations in their waters. Traditional Owners aspire to integrate local fishing industry representation through the North Wind Fisheries Committee, to have a supported role in NT fisheries management. The Bawinanga Rangers will continue to have an active role in protecting and managing their tidal waters and broader sea country. The rangers will need extra resources to The Maningrida Sea Country Access and effectively manage this coastline into the Use Plan covers the intertidal areas from Arla future. (Cuthbert Point) in the west to Wayal (Cape Indigenous Commercial Fishing Stewart) in the east. It includes tidal sections of the Blyth, Liverpool and Goomadeer rivers Industry and associated creeks. Traditional Owners of The local Aboriginal Coastal Licence holders this region come from nearly 50 clan groups are leading the way in local commercial associated with the coastal region of Junction fishing. They are building business skills, Bay and Boucaut Bay of the Arafura Sea. operating a fish processing facility as well as Discussions and planning took place over a commercial crab licence. The Traditional three weeks of consultation with all affected Owners want this developing industry to clan groups. be properly resourced to expand their operations. They are also interested in owning Key Aspirations commercial barramundi licences and want to see an expansion in the Aboriginal Coastal The Plan establishes aspirations to support Licence to include commercial species. and develop local Indigenous fishing operations in Maningrida. Traditional Owners The Blue Mud Bay Sea Country Plan is recognise they have the locally formed North expected to be finalised in June 2019.
Who should represent you & your community on the NLC? Would you like to be a Council Member? We need good leaders to represent your community area – men, women and young people can nominate. The new term is from November 2019 to November 2022. Notices will be sent to your community, to your current Council Members and local corporations soon and nominations will be called for from July 2019. For more information please call NLC on 89205111.
he Northern Land Council (NLC) is developing a new and easy-to-use permit system that will better protect Aboriginal rights and interests and clearly inform visitors about the conditions of entry to Aboriginal land. Aboriginal land is private land held by an Aboriginal Land Trust for the benefit of Traditional Owners. Traditional Aboriginal owners have the legal right to decide who comes onto their land. Since the enactment of the Aboriginal Land Rights Act and the Native Title Act, approximately 50 per cent of land in the Northern Territory has become Aboriginalowned, including approximately 85 per cent of the Territory’s coastline. For everyone The permit system will be a central database of permit information, so NLC and Traditional Owners can track trends in visitor numbers, compliance hotspots and feedback. Timeline for the new permit system The permit system will be rolled out in the third quarter of 2019. The current permit system will continue in parallel as the new system is tested. If you would like to know more about permit reform, email permit. enquiries@nlc.com.au. •	Better oversight of visitors to Aboriginal Visitors can continue to apply for a permit land and better control in accordance online, over the phone or over the counter. •	Regulate access to traditional lands and with the needs of Traditional Owners; NLC can be contacted via email permits@nlc. streamline administration; •	Ability to better monitor incidents and org.au, or at one of the following NLC offices •	Ensure visitors understand their breaches by permit holders; and Mon–Fri between 8:30am and 4:30pm: obligations under law and are safe and •	Regular, comprehensive reports and •	Darwin (Head Office): 45 Mitchell Street, informed while visiting Aboriginal land; insights about visitors and the reasons for Darwin, Phone: 08 8920 5100 •	Protect and promote Aboriginal rights, their visit. •	Katherine: Lot 5/29 Katherine Terrace, interests and culture, and promote mutual For visitors Katherine, Phone: 08 8971 9899 respect between Traditional Owners and Arnhem: Endeavour Square, •	A streamlined process and a transparent •	East visitors; and Nhulunbuy, Phone: 08 8986 8500 and responsive permit system; •	Record who is on Aboriginal land, who is •	West Arnhem: 3 Government Building coming, and clearly state what can and •	Access to information and advice about Flinders Street, Jabiru, Phone: 08 8938 Aboriginal culture, communities and can’t be done. 3000 land for an enjoyable visit that respects Under the Aboriginal Land Act (NT) 1978, the Standard permits take up to 10 days to Aboriginal traditions; and NLC administers the permit system for most process, complex applications may take of the Aboriginal land in the Top End of the •	Clarity about where a permit holder can longer to process as NLC will have to consult go and what they can do when visiting Northern Territory. with numerous Traditional Aboriginal Owners. Aboriginal land. Open access agreements are in place in the Wadeye and Moyle River area, for parts of the Daly River, the Anson Bay area, around For more than 20 years, the NLC has been Nhulunbuy, and the lower McArthur River working with Traditional Owners to improve and Sir Edward Pellew Islands in the Gulf of their rights and interest in looking after their Carpentaria. There is also permit free access sea country. in various locations in and around Bynoe In 2008, the High Court of Australia – in a Harbour near Darwin. landmark case referred to as Blue Mud The Northern Territory Government Bay – reconfirmed that the intertidal zone negotiated open access agreements with is ‘Aboriginal land’ where it falls within the Traditional Owners for coastal areas with a boundaries of a coastal Aboriginal land trust, high incidence of fishing activity. Currently, even when tidal waters periodically cover permit-free recreational fishing access is the terrestrial surface of the grant; and that permitted for: Traditional Owners have exclusive access rights to ‘Aboriginal land’. Up until then, NT 1. Malak Malak (Daly River area) – possession limits apply and the area is closed between Fisheries had sought to control access to 1 October and 31 January. The Daly River fishing in the intertidal zone. mouth region consists of the coastline The Blue Mud Bay determination is to the boundary of Mabaluk land within significant considering the size of the NT the Daly River/Port Keats Aboriginal Land coastline: 5,100 km on the mainland, with Trust. offshore islands contributing a further 2,100 km. The Blue Mud Bay decision recognised 2. Yanyuwa (Sir Edward Pellew islands area and McArthur River) Traditional Aboriginal Owner groups have exclusive access rights to 84%, or 6,050 km, 3. Anson Bay area of the Northern Territory coastline. 4. Dhimurru (Nhulunbuy area) Even though this significant right was granted 5. Thamarrurr (Wadeye/Moyle River area) – in 2008, intertidal access arrangements have intertidal waters from Dooley Point to a not yet been resolved. point south of the Old Mission including the tidal area of Docherty Island. 6. Roche Reef, Middle Reef, Simms Reef, User groups, including recreational and Charles Point and Talc Head during high commercial fishers, have enjoyed permittide only (Cox Peninsula) free open access to Aboriginal-owned tidal 7. Grose Island, Bee Eater Island, Turtle waters since the 2008 Blue Mud Bay High Island, Quail Island, Dum-in-mirre Island, Court decision via various agreements and Bare Sand Island, Indian Island and waivers. The current waiver is in place until residual coastline of the Cox Peninsula, 28 June 2019. except private lease areas and sacred Negotiations are currently taking place to reach a permanent and comprehensive settlement of Blue Mud Bay. At the NLC Full Council Meeting, scheduled for June 2019, the current waiver will be considered for extension pending satisfactory progress of the negotiations to permanently settle Blue Mud Bay. sites. Please refer to the NLC website, www.nlc. org.au, or http://www.fishing.nt.gov.au/ agreements.html for maps and further details. The agreements were negotiated by the NT Government with Traditional Owners in the coastal areas with high incidence of fishing activity. Overall, Traditional Owners feel that these agreements don’t allow them to participate in decisions about access or management of their sea country, which goes beyond the low tide water mark. Where can’t the public access? No fishing access for the public is permitted at: 1. Sacred sites or within 100m of sacred sites 2. Cape Scott, within the Daly River Port Keats Aboriginal Land Trust 3. Upper Finniss River, within the Delissaville Wagait Larrakia Aboriginal Land Trust 4. Closed seas in the Milingimbi, Crocodile Island and Glyde River area 5. Closed seas in the Castlereagh Bay and Howard Island area 6. Intertidal zone of Ida Bay, Knife Island and Crocodile Island on the Cox Peninsula area 7. Private lease areas The new NLC permit system will provide clear maps on access and the conditions of access. These maps will be updated as conditions change. The representatives of user groups include the NT Seafood Council, the Amateur Fishermen’s Association of the Northern Territory and Fishing Tour Operators. Where can the public fish on Aboriginal land? Due to the permit waiver, visitors can access and fish Aboriginal intertidal waters in the Northern Land Council region (the waiver does not apply to the Tiwi or Anindilyakwa regions or closed seas). Visitors need to remember that permit free access is only granted for the intertidal waters. A permit is still required if intending to come ashore or otherwise access Aboriginal land. Since 2011, long-term open access agreements have been negotiated to provide permit-free access to recreational and commercial fishers for certain Aboriginalowned intertidal areas in the Northern Territory. Numbulwar Numburindi rangers: Adam Manggurra, Rheehan Ngalmi and Clive Nunggarrgalu on the SEAL IPA. ver the last five years in Government, I have been unrelenting in my aim to unlock Aboriginal Land. I’ve sat down with Traditional Owners from across the Northern Land Council region to understand what works for them. I have heard the message that we have to unlock the potential of land rights. That we can’t improve the social and economic outcomes for our communities without title to our greatest asset, our land. And we have achieved a lot together. With the support of the Australian Government, the Northern Land Council and Gumatj traditional owners have finalised a 99 year township lease for Gunyangara. Township leases allow traditional owners to make their own decision about their land. And I have supported community organisations to hold township leases themselves. The Gunyangara arrangement is the first example of how a local Aboriginal corporation can hold and administer a township lease. It is an important step in the Government’s commitment to community led land reform. In Parliament, we’ve also passed changes to the Aboriginal Land Rights (Northern Territory) Act 1976. The changes in the Act has enabled the grant of more than 973,000 hectares of land in the Northern Territory as Aboriginal land. Five long-standing Aboriginal land claims and a native title settlement can be finalised by these changes. This will affect parcels of land in the Kakadu, Roper River and Anthony Lagoon regions Northern Territory. We made this commitment at the last election, and we’ve kept our word. We are providing additional resources, an extra $1 million to the Office of the Aboriginal Land Commissioner to work with Land Councils and local stakeholders to drive this work. Over the next four years, they will expedite the finalisation of the 41 unresolved land claims across the Territory. The Northern Land Council represents 39 of the claimants. We’ve boosted the Land Council’s annual operational funding in recent years to perform the statutory functions related to land claims, including for additional legal and anthropology staff. And we’ve provided an additional $7.5 million to aid the settlement of claims over intertidal zones and the beds/banks of rivers and ensure any fishing industry and pastoralist concerns on access are addressed. We want to ensure more Traditional Owners are recognised as the rightful owners of their land. To date, almost 50 per cent of the Northern Territory land mass has been granted as Aboriginal land. Across Australia, native title claims have been finalised over approximately 35 per cent of land. I acknowledge the work of the Northern Land Council in progressing long standing claims and the ongoing aspirations and effort from the traditional owners of the land. Together, we are waking up land rights. And we will all see the economic and social benefits that flow through as a result. *Nigel Scullion has been the Federal Minister for Indigenous Affairs. He is not recontesting the next election. to deliver for all Aboriginal communities across the Northern Land Council region from Wadeye to Nhulunbuy and Borroloola to Maningrida. While Michael Gunner and Territory Labor continue to cut services in the bush and spend your money in Darwin, the CLP continues to invest record amounts in health, education, roads, mobile phone coverage and internet services for remote communities across the Territory. We have fast tracked land claims process and I confident that these will finalised very soon after election. communities taking control through community held township leases. We are investing in record funding into Indigenous Rangers and have nearly doubled the number of rangers since we have been in government. *Jacinta Nampijinpa Price is the CLP candidate for Lingiari. Shorten Labor Government will work in partnership with Aboriginal and Torres Strait Islanders in a renewed push to bring justice, fair treatment and a strong local and regional voice to First Nations people, especially in the Top End. They congratulated the new Chair and Deputy Chair of the CLC, Sammy Wilson and Barbara Shaw, and pledged a Shorten Labor Government will work closely and cooperatively with the four Northern Territory Land Councils. The Member for Lingiari Warren Snowdon, Shadow Assistant Minister for Indigenous Affairs and Aboriginal and Torres Strait Islanders Senator Patrick Dodson and Northern Territory Senator Malarndirri McCarthy met with the Central Land Council at Yulara Pulka last week. “It was a Labor Government that introduced legislation for land rights in the NT, and a Shorten Labor Government will continue to work closely with the Land Councils should we be elected in May,” said Senator Dodson. “Here in the Uluru Kata Tjuta National park, we have committed to delivering on the Uluru Statement from the Heart in a consultative manner that respects the roles of the Land Councils in shaping the future for generations of traditional owners in the NT. Under Labor, there will be a Voice to the Parliament, and it will be recognised in the Constitution. “A re-elected Morrison Government will not deliver on this commitment.” “A Shorten Labor Government has committed to abolishing the harmful poverty trap of the current Community Development Program and replacing it with a new program geared to the rights, interests and concerns of Aboriginal communities in the Northern Territory,” said Mr Snowdon. “Only a Labor Government recognises and supports the rights of traditional owners in Northern and Central Australia to be true partners in the development of Northern Australia, in keeping with their rights and status as land owners in the Northern Territory,” said Senator McCarthy. Senator Patrick Dodson, Senator Malarndirri McCarthy, Labor leader Bill Shorton and member for Lingiari the Hon Warren Snowdon MP. Abolishing the discriminatory and punitive CDP and working with First Nations peoples to replace it with a new program that has an absolute focus on community development. Doubling the number of fulltime Indigenous Ranger positions over the next five years. Establishing a Makarrata Commission for agreementmaking and truth-telling. Delivering justice and compensation for the remaining survivors of the Stolen Generations, by establishing a compensation scheme for members of the Stolen Generations in Commonwealth jurisdictions and committing $10 million to healing programs. Convening a National Summit on First Nations Children in the first 100 days of government, bringing experts and governments together to determine solutions to the unacceptably high rate of Indigenous children being removed from the care of their families. Over the course of the campaign, Labor will announce our full suite of policies that delivers on our commitment to ensure that First Nations peoples are equal and active partners in determining the priorities and decisions which affect their lives. Most importantly – unlike the Liberals – Labor is committed to working in a meaningful and respectful partnership with First Nations to build the Territory and to build the future. Ms Watson also said job seekers were threatened with breaches despite not being provided with the safety equipment. “We did have one incident where a worker had thongs on, shorts, no safety gear whatsoever and he asked for glasses gloves and shoes and the job service provider has responded with: ‘We’re not obligated to provide that’,” she said. “When he refused to do the activity he was then threatened with: ‘Well we’ll just breach you for eight weeks’, so he ended up doing the activity with no safety equipment.” CDP has failed to create real jobs or economic opportunities in remote areas, in fact, less than one per cent job growth has been recorded under this program. Federal Labor will replace the failed Community Development Program with a program that has been co-designed with First Nations people. Labor will ensure a remote jobs program will create jobs, will meet the needs of the community and will deliver meaningful training and economic development, and proper working conditions. In January Minister Scullion announced ‘reforms’ to CDP. These reforms are simply tinkering around the edges that have caused confusion and frustration with providers and participants alike. Minister Scullion and his colleagues think that CDP is a great success story. This could not be further from the truth. PREPARING FOR TAKE-OFF IN THE NT Launching commercial rockets in East Arnhem Land is one step closer as Equatorial Launch Australia’s (ELA) key Australian customer, Black Sky Aerospace, successfully launched the country’s first commercial rocket from a site in outback Queensland on Wednesday 21 November 2018.
n the historic rocket’s nose cone was a painting by Yolngu artist Dorothy Djakangu Yunupingu, the sister of Gumatj Corporation deputy chair, Djawa Yunupingu. The painting entitled Djulpan tells the story of the seven sisters – the constellation of Djulpan, or Pleiades. The sisters appear at certain times of the year, an indication that the season is right for gathering food. At the launch, Mr Yunupingu spoke about Yolngu culture and its link to the stars. He also helped launch small model rockets made of plastic bottles to demonstrate how young people can start learning about rocket science at school in every corner of Australia, including in East Arnhem Land. Mr Yunupingu said he was proud to represent Traditional Owners at the historic Black Sky Aerospace launch and had been involved in consultations about the proposed Arnhem Space Centre in East Arnhem Land since the early discussions. “The Arnhem Space Centre is an exciting opportunity for Gumatj Corporation and it opens the door for new opportunities for Yolngu on our country. Gumatj Corporation and Equatorial Launch Australia would like to acknowledge the Northern Land Council for their guidance, hard work, and approval of a lease that supports this opportunity for the region,” Mr Yunupingu said. ELA is taking considered steps toward making rocket launching a reality in East Arnhem Land, developing Australia’s first commercial spaceport with support from the Gumatj Corporation, Developing East Arnhem Limited and the Northern Territory Government. Early discussions commenced in the region in 2015, with a Project Facilitation Agreement signed by local groups in 2016. That same year, NASA experts visited the region to talk about best practice and how the area could work for reliable scientific launches going forward. NASA has since released two annual reports noting the opportunity for the East Arnhem site to facilitate sounding rocket launches for their scientific and education related missions. In 2017, the Northern Land Council commenced formal consultation in the community, eventually completing a process that resulted in approval of the Section 19 lease agreement that enabled the Gumatj Corporation to sublease 60 hectares to ELA for use as a commercial rocket launching facility. The Minister for Indigenous Affairs, Nigel Scullion, gave his consent. The process of developing the Arnhem Space Centre involves continued discussion with ranger groups about land care and how the project will progress including the planning of launch corridors and landing areas to ensure that local sites of significance are respected. The site and business can start very small, using an area the size of a football field, three concrete pads the size of a house block each, and a few dongas as the main infrastructure in place. Noise from rockets is like a clap of thunder, reducing quickly after take off and as you get further away from the launch site. The safety protocols are very strict for each launch to protect people and the environment. There can’t be more than a 1 in 10 million chance of an impact with humans, and the environment must be cared for in alignment with national environmental protocol. ELA will take this one step further by working with Gumatj Corporation and ranger groups around planning for recovery of rockets and payloads after they have launched. The benefits of the project are broad. For the local community, these are forecast to include engagement during construction, through to site maintenance and new opportunities in tourism, education, new technologies such as 3D printing and drone flight. “The Arnhem Space Centre is an exciting opportunity for Gumatj and it opens the door for new opportunities for Yolngu on our country.” “The recent launch out of Queensland was a unique opportunity to showcase what can be done in Australia and was a collaborative effort between a truly international community of like-minded and skilled experts in the space industry.” “We are very proud of Black Sky’s success and look forward to continuing our relationship with key customers and the community as we progress the Arnhem Space Centre” she said. Establishing the Arnhem Space Centre is the next step. It is a huge effort for a very small team and the community, coming together to see the development of Australia’s first commercial spaceport right here in the Territory. The Arnhem Space Centre will provide the nation and region with a tremendous point of pride that is made stronger through work to continue linking industry with the community into the future” she said. The NT Government also recognises the emerging space industry as one of Australia’s most dynamic sectors for growth. NT Chief Minister Michael Gunner said: “Black Sky Aerospace’s launch is a great example of business, industry and government working together to grow a new and exciting industry in Australia. “We now look forward to another commercial launch by Black Sky Aerospace, right here in the Territory in 2019.” Together with traditional owners in the region, the project is taking reasonable steps toward providing another opportunity for jobs, inspiration, and continued stories of the stars. Traditional Owners hear from project partner, Yalu Marnggithinyaraw Aboriginal Corporation about its delivery of their community Raypirri culture camps. workers bring people together to do good planning, make informed decisions about those plans, make sure they happen, and then review whether the plans achieved their objectives and what lessons have been learnt along the way. Regular reports are provided to groups so they can discuss how projects are progressing and Traditional Owners take time every year to reflect on how their planning work is going, and what needs to be improved. At a recent review in Ngukurr, one traditional owner reflected that “We get information and think and make decisions ourselves”, but “we need more regular updates”. This process will soon be strengthened with the recent announcement in November 2018 of funding from the Australian Government Department for Prime Minister and Cabinet for a three year monitoring project to support a process of critical reflection, assessment and improvement of the CP&D Program. From 2019-2021 the NLC will partner with La Trobe University and the Northern Institute, Charles Darwin University to actively engage Aboriginal people in participatory methods of monitoring project outcomes. Through monitoring and evaluation work, Aboriginal people can say what change they want from community development projects and find the best way to measure this change. Then later they can look at whether these changes actually happen. It is an exciting, ground-up way to check that the CP&D Program is on track and delivering the development aspirations of Aboriginal groups. SUCCESS FOR BULGUL RANGERS Congratulations to Victor Moffatt, Theresa Burr Burr, and Linda Moffatt who were recruited that day, and Charlene Moreen and Bernie Lewis who have joined Bulgul rangers as casual workers. The new team has seen an increase in the number of female rangers with four males and three females now making up the ranger group. As there is only one original member from the previous Ranger group, the rangers are working hard to up skill their new recruits with intensive skill based training. With funding support from Workforce NT (Department of Trade, Business and Innovation) through the Aboriginal Responsive Skilling Grant (ARSG) the Ranger Group has been able to gain valuable training, where without the ARSG it would not have been possible. Brendan Morgan-Armstrong (front left) took home the People’s Choice Award at the TNRM Awards. He was also nominiated for Ranger of the Year. over the past 7 years has set a high standard for others to follow and has gained him much praise from many corners of the NRM sector. Brendan spent more than 6 months working as the only Bulgul ranger in 2018, but a new recruitment campaign has resulted in four new rangers and a ranger coordinator, Tim Burr Burr, joining the Bulgul ranger group. The employment of three rangers was undertaken through a community open day in conjunction with Ironbark at Batchelor, where participants in the Government’s Community Development Program and the local Bulgul community came together to hear what it’s like to be a ranger, fill out a resume and do an on-the-spot interview. This has included training in: •	Weeds and chemical •	Excel (computer) •	First Aid •	Fire & incendiary •	Tractor, Welder and Chainsaw •	Biosecurity •	Coxswains training •	Small engines •	4WD training Bulgul Rangers are now developing fee for service contracts with third parties, including a subcontract for maintenance services company, Sterling, to conduct road weed spraying. The Bulgul rangers have also commenced a Cert III Conservation Land Management and Fisheries Compliance Cert II with Australian Maritime Fisheries Academy (AMFA) to develop the relationship with the Department of Fisheries to better manage Sea Country. They are looking forward to working more with CDU in Land and Sea research and conducting another Junior Ranger program. Attendees at the 2019 Senior Ranger and Coordinator Workshop in Darwin. The NLC Caring for Country Branch’s Senior Ranger and Coordinator Workshop took place in Darwin from 19-21 February. natural resources in a sustainable manner is a key objective of the NLC. NLC Senior Rangers, Ranger Coordinators, Indigenous Protected Area (IPA) Coordinators and support staff came together to share ideas, experiences and priorities, reflect on the year and begin planning for 2019. Winston Thompson and Julie Roy, Assistant Coordinators at Yugul Mangi Rangers said the workshop was a great opportunity to learn more about each other. Above: Yugul Mangi Ranger Winston Thomspon, Garawa Ranger Donald Shadforth and Wudicupildyerr Ranger David Hewitt. Left: Ranger coordinators gather during the workshop. Contributions Land Rights News welcomes stories and photos about Aboriginal people and organisations.